An innovative employment program at the Neovia Logistics facility in Desford, United Kingdom, was recently named the recipient of the Hadley Group Community Impact Award at the Central Prince’s Trust Awards in Birmingham, U.K. The Prince’s Trust is a charity in the U.K. founded in 1976 by Prince Charles of Wales to help vulnerable young people get their lives on track. It supports 11-30 year-olds who are unemployed, struggling at school or at risk of exclusion. Neovia is the first company in the U.K. to work closely with a group of unemployment charities led by a Prince’s Trust project called Talent Match. The project is designed to give at-risk young people easier access into paid work. 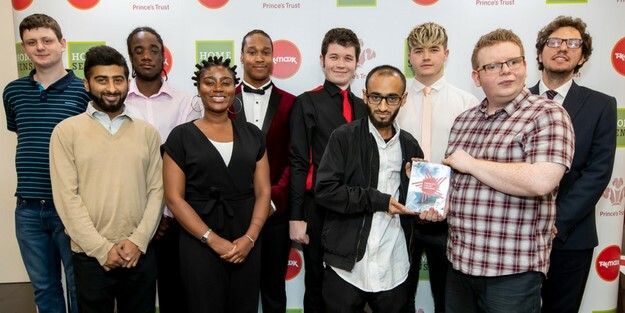 The Prince’s Trust approached Neovia in Desford late last year about participating in a Talent Match pilot program to help a specific group of young people (instead of the usual approach of supporting individuals) who are consistently unable to secure employment. The group is primarily made up of people over the age of 21, who also have learning difficulty, disabilities, or are recovering from mental illness. Their average length of unemployment was four years; some had gained employment for very short periods of time and others had not been given any opportunities at all. After a few months of planning, Neovia Desford launched the pilot program called “Hidden Talent” as a whole new approach to recruitment and employee development. The objective is to look more closely at the transition-to-work-needs of those who have never experience employment. As part of the program, Desford hired 12 young people who have various conditions such as Autism, Asperger’s syndrome, depression and anxiety, and formed a team. In March, the group joined the Inbound Packing Operation (IPO), the contract packing solution for client JLR. IPO was chosen because it gives the group the ability to work as a team, with a consistent routine and in a familiar environment with a supporting network around them. After winning the Central Prince’s Trust Award, the next step is the National awards in London and hopefully more recognition for the Hidden Talent group and all those in Desford who supported the effort.